Quick summary: This activity has been developed to give children the opportunity to learn more about wind and energy. Children look at wind and wind power by playing with flags and wind turbines and discussing wind energy. This activity is designed to help connect children to the wonders of the natural world through sensory and play-based learning. Ages 0 to 3: Materials for creating flags such as tissue paper, balloons, strips of paper, ribbons, streamers and sticky tape, plus sticks or straws for the handles. Ages 3 to 5: Wind turbine templates printed on paper or light card, child-safe scissors, 6cm length of drinking straw. Collect items and images that are associated with the theme of wind to use as conversation starters. 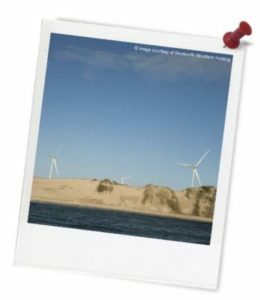 Learning goals: The aim of this activity is to provide children with an opportunity to explore the topic of green energy by looking at wind energy. 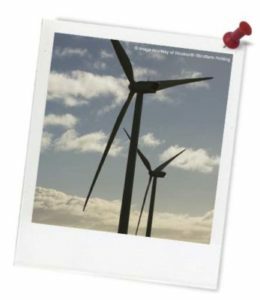 Children respond to ideas and suggestions from educators on the topics of wind energy, and use play to investigate and explore new ideas. Older children will participate in rich and meaningful inquiry based activities that link human energy use and the health of the environment. Younger children will undertake group investigations and explore their own interests in relation to the topic of energy.